Today, we are comparing three mid-range smartphones to find out which one is worth your hard-earned money. 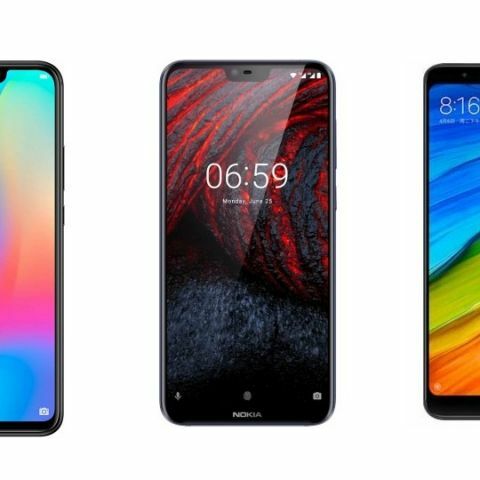 The mid-range smartphone market (between Rs 15,999 and Rs 20,999) is already quite popular since these devices tend to offer users pretty good value for money. The Huawei Nova 3i was launched a few weeks back and is currently one of the better deals in the price segment. However, with the launch of the Xiaomi Mi A2 and the anticipated launch of the Nokia 6.1 Plus, things are bound to get quite competitive in the segment. Let’s take a look at what the three phones have to offer in a spec comparison. Let’s start by comparing the display of these three smartphones. The Xiaomi Mi A2 sports a 5.99-inch full HD+ display with an aspect ratio of 18:9, which is protected by Gorilla Glass 5. The Nokia 6.1 Plus features a slightly smaller 5.8-inch full HD+ display with a 19:9 aspect ratio, but it’s protected by Gorilla Glass 3. When it comes to the Nova 3i, it has a larger display in comparison to both of these devices as it sports a 6.3-inch full HD+ display with the aspect ratio of 19.5:9. However, the company does not mention which protective glass it uses for the display. Now let’s talk about the performance. The Xiaomi Mi A2 is powered by an octa-core Qualcomm Snapdragon 660 processor. The Mi A2 is currently available with 4GB RAM/64GB storage, and the company may launch the 6GB RAM/128GB storage in the future. The Nokia 6.1 Plus, on the other hand, runs on the octa-core Qualcomm Snapdragon 636 processor, which is paired with 4GB RAM/64GB internal memory. The Nova 3i runs on Huawei’s own Kirin 710 chipset, which is paired with 4GB RAM and 128GB internal memory. Although, the Xiaomi Mi A2’s internal storage is not expandable. So if you require a lot of space, you might want to take a look at the other two devices, which offer expandable memory. Another thing that is not available in Mi A2 is 3.5mm audio jack. The camera is one of the key features which almost everyone takes into consideration before purchasing the smartphone these days. The Huawei Nova 3i features a dual-camera setup on both sides. It has a 16MP + 2MP sensor at the back, while the front is equipped with a 24MP + 2MP dual sensor. The camera setup on this smartphone comes with Al features such as auto scene detection and Al Beautify mode, which enhances your pictures using artificial intelligence. The Nokia 6.1 Plus is consists of a single 5MP unit on the front. The device comes with a 16MP + 5MP dual sensor at the back with AI features and Portrait mode. Now when it comes to the Xiaomi Redmi A2, the camera of this smartphone looks pretty good on paper, in comparison to the Nokia 6.1 Plus and the Nova 3i. The device features a 12MP + 20MP dual camera setup at the back, with the features like Portrait mode. The phone has a 5MP unit at the front with an LED flash which none of the other two devices offers. However, if you’re looking for a dual camera setup at the front, then the Nova 3i might interest you more. The Huawei Nova 3i is already available on Amazon with a price tag of Rs 20,990. Buyers also get an additional cashback of Rs 1,500 on using Axis Bank credit & debit card. On the other hand, The Xiaomi Mi A2 is available for Rs 16,999 on Amazon India.